We found a fantastic sale about a month ago to Colombia, with fares starting at $240 from a bunch of different US cities. 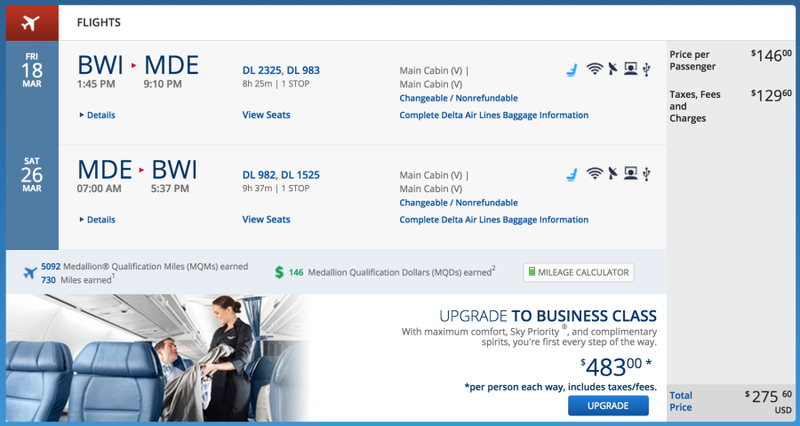 Today, Delta is offering a similar deal, with discounted fares to Medellin and Bogota, Colombia from $276 round-trip. Flights are available from a number of different origins, and travel dates are very flexible throughout 2016. The cheapest flights appear to be those that terminate in Medellin (MDE), rather than Bogota, which are generally about $50-100 more expensive. The lowest fare we found is between New York (LGA) and Medellin (MDE) for $267. Flights from Baltimore (BWI) can also be found in the sub-$300 range with flights from $276. There are also a number of other origin cities with discounts starting around $300, including Boston (BOS), Chicago (ORD), and more. For Bogota-bound travelers, flights from Baltimore (BWI) start at $333, and flights from New York (LGA) start at $362. New York (LGA) – Medellin (MDE) for $267 round-trip on Delta. Baltimore (BWI) to Medellin (MDE) for $276 on Delta. Chicago (ORD) to Medellin (MDE) for $304 on Delta. New York (LGA) to Bogota (BOG) for $333 on Delta. Baltimore (BWI) to Bogota (BOG) for $362 on Delta.